After beefing up its parental leave policy this year, Starbucks Corp. (SBUX.O) will now offer subsidized childcare for all of its U.S. employees, too. The new benefit, a partnership with childcare provider Care.com Inc., will provide 10 subsidized backup daycare days for parents for instances when regular care falls through. In-home backup childcare will cost US$1 an hour or US$2 an hour after the 4th child. Care at a daycare center will cost US$5 per day. Subsidized childcare is a rare benefit. Only 2 per cent of more than 3,000 employers surveyed by the Society of Human Resource Management in 2018 say they help employees pay for childcare fees. Only 4 percent offer backup child care services. Retailers and restaurants have been trying to improve their perks to retain employees amid a very tight labor market. Amazon.com Inc. (AMZN.O) just announced it’s boosting wages to US$15 an hour in November for its current and seasonal workers. 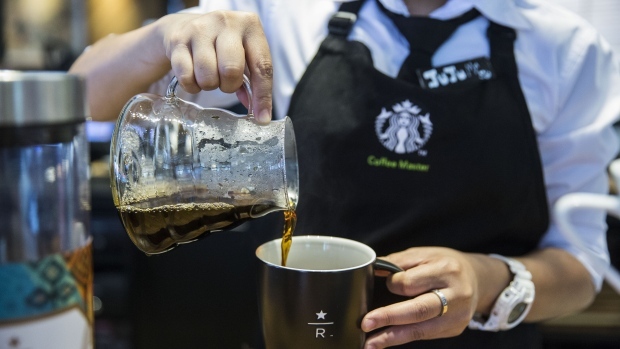 In January, Starbucks committed to spend $250 million on new employee benefits, including a pay boost for domestic workers after the federal tax overhaul. Benefits that make it easier to juggle work and parenting can help employers keep working parents from jumping ship. Patagonia has claimed that it has 25 per cent lower turnover with employees who put their kids in an on-site daycare program. As the labor market has tightened, more companies have started offering paid parental leave.